This team is just too damn good. That’s not a knock on them for the way they play or how this team was put together. It’s how the NBA operates these days. You will need to either play perfect basketball every single time you play the Golden State Warriors or you will have to put together a ‘super team’ of your own. LeBron James admitted it to the media during the series that you have to play a perfect game to beat them. What happened during Game 1 will be talked about for some time with J.R. Smith’s lack of awareness with 7 seconds remaining during a tie game. That moment set the tone for the series. Golden State took care of business in Game 2. Back in Cleveland if it wasn’t for Kevin Durant putting on a show for Game 3, the Cavaliers would have won that game. As for Game 4, lets just say that the contest wasn’t worth your time. I’m not going to use this post to criticize anyone right now. That will be for another one in the near future. For now what I will say is that you are seeing something special. Four straight Finals’ appearances by the Golden State Warriors and they emerge with three championships. Regardless of what you think of the current climate of competition in the NBA, it’s never easy to win a championship let alone accomplish it three out of four times. The rest of the league has been taking note for a few years now. Particular the last two with Kevin Durant aboard. You have to play at an insane level to beat this team. 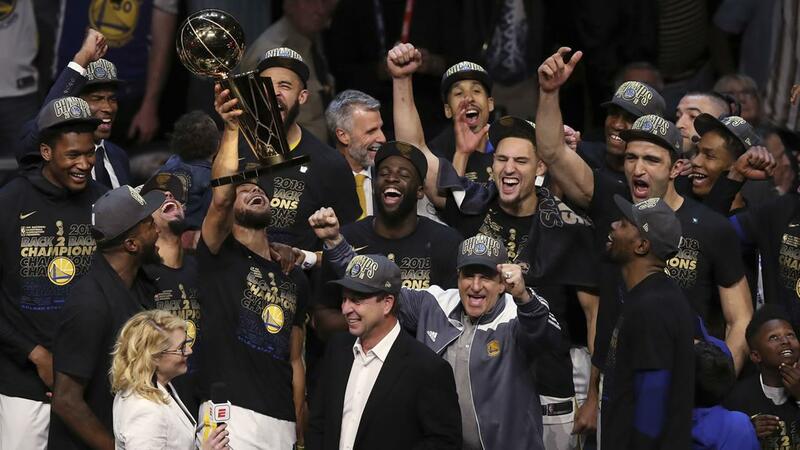 Congratulations to the Golden State Warriors on winning their sixth championship in franchise history. This entry was posted in Basketball and tagged Basketball, Cavaliers, NBA, NBA Champions, The Finals, Warriors.